YiYa’s on 79th Street. Check out the tables, they are made from resused wood shipping pallets. 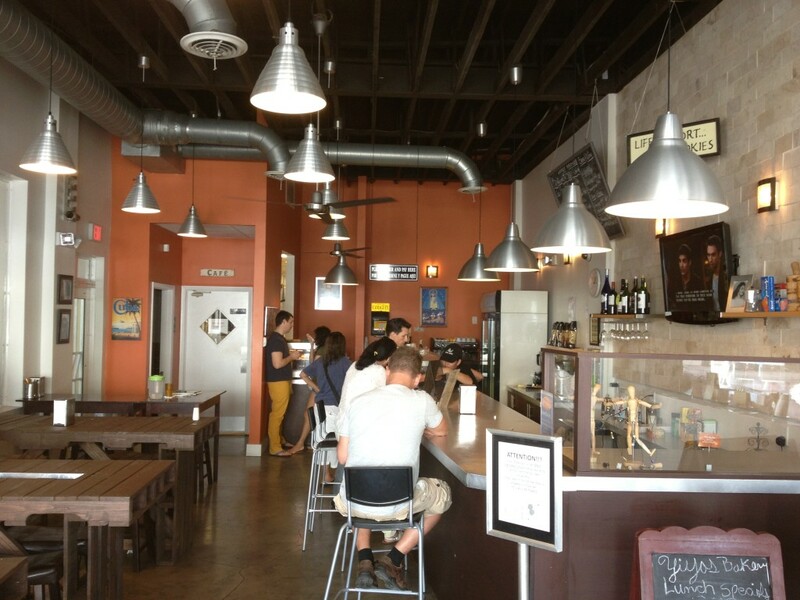 YiYa’s Gourmet Cuban Bakery & Café located at 646 NE 79th Street is worth the trip even if you live on the other side of town. Lucky for me I live only 4 blocks from Yiya’s. Since I work from home it has quickly become my go-to spot for awesome Cuban food. Yiya’s has been around since 2008, but it is perhaps the Upper Eastside’s best-kept secret. Delsa, the owner, is a sweetheart and her food is just as great as she is. There are daily specials Monday thru Saturday. 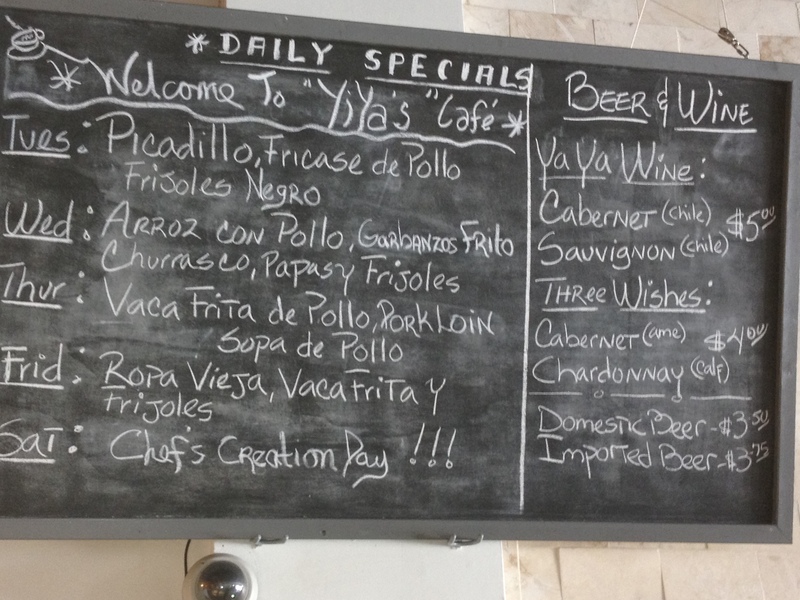 My favorite daily special is the Vaca Frita de Pollo which is served with rice, beans and a salad. You can’t go wrong with any of the daily specials. The pastelitos are fantastic and the cortadito always hits the spot. Yiya’s has a nice spread of deserts too. Somehow I’ve managed to resist the chocolate mousse thus far, but I’m probably going to break down in the next couple of weeks and try it. It looks too good to resist anymore. 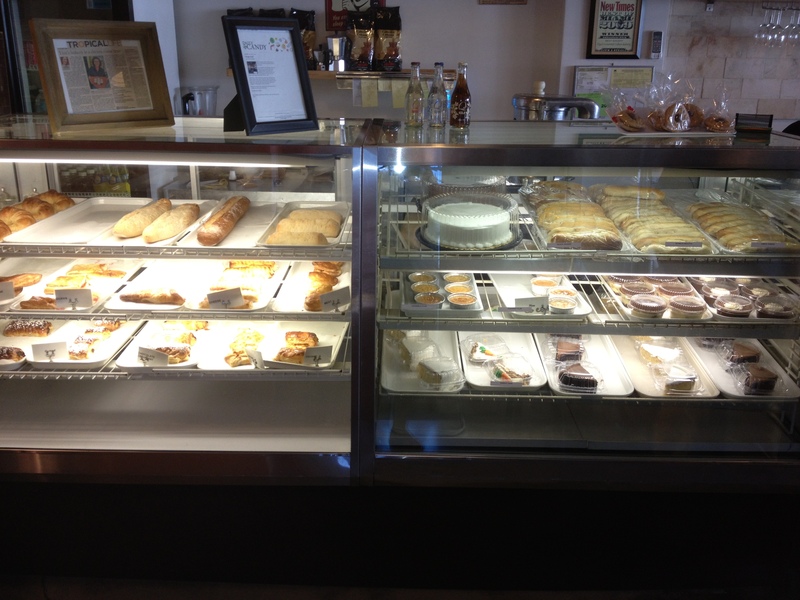 YiYa’s has a great selection of pastries, desserts and breads. Yiya’s also serves breakfast and they are open everyday except for Sundays. Give YiYa’s a try; you won’t be disappointed.